"Designers and manufacturers of private label, collectible and technical watches in Los Angeles." for manufacturing of private label and customized watches. Click the image of the watch from the designAwatch collection..view the type of numbers, color of the strap and compose a special engraving on the back of the watch...Then send us an email with the information along with yourTatoo image and we'll send you a virtual image of your custom Tattoo watch. Now over 1,000 designs to select from our vast collection of images. Featuring Charlie Brown, Snoopy, Lucy, Linus and the entire Peanuts gang. NOMEA Paris is a collection of intricately designed thematic watches. Made in France with Swiss movements, these watches are of the highest quality and are artistically striking. Click HERE to review the collection sold on eBay. A True Collectors Item. All Nomea watches shown on this website are the last of their kind in the United States. All new, never worn, and never made again. Get yours today before they become extinct forever. 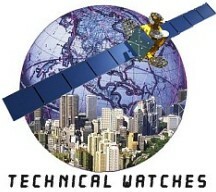 Our Product Development Team For Technical Watches provides solutions for highly technical watches including radio frequency, sonar, atomic, EL flashing, mobile phone, sound recording and temperature reading. Our talented production team of programmers and designers will collaborate in the production of your concept for a unique technical wrist instrument. Private Label Designs are created by our staff of designers who successfully produced and manufactured collectibles such as Taz, Pinky & the Brain and Tweety & Sylvester for Warner Brothers; The Angels, Mighty Ducks, The Lion King and Beauty & The Beast for Disney; and Dr. Seuss for Universal Studios, Peanuts for Camp Snoopy, Darth Vader for Lucasfilms along with many other unique productions for other prominent clients. The website features productions of our Limited Editions and collectibles manufactured through our collectible division of The Rich Collection. You can review the Gene Autry "Six Shooter" Watch, with a biography of Gene Autry. Also featured are Roy Rogers, Cracker Jack, Mel's Drive-In,and Bobby Troup�s Route 66 Commemorative Limited Edition Watch. The story of Route 66 is featured along with a selection of Route 66 collectible watches. We also feature a Limited Edition of the Discovery of America commemorative watch. Manufacturer's factory outlet is where you can find great deals in collectible watches from Disney, Warner Bros., 3-Stooges, Snoopy, Felix the Cat, Cracker Jack, etc. We also offer close-outs models from the famous Illinois Watch Company brand featuring the classic models from the Contempo collection. The collection is produced in all stainless steel containing 35 jewel mechanical selfwinding movement with a crystal lens on the back of the "exhibition case backs". There is only a limited supply of Ilinois.